WEST LAFAYETTE, Ind. -– P. Christopher Earley, dean of the University of Connecticut School of Business, will be the new dean of Purdue University’s Krannert School of Management. Earley has held his current position since January 2008. Prior to that, he was dean of the National University of Singapore Business School, chair of organizational behavior at London Business School in England, and Randall L. Tobias Chair of Global Leadership at Indiana University’s Kelley School of Business. “It’s with tremendous pride and enthusiasm that I take on a leadership role at the Krannert School of Management,” Earley said. “Not only is Krannert an integral part of one of the world’s leading research universities, but the school also has a global presence and recognition that provides its students and alumni with knowledge, experiential learning and talent for critical thinking. As dean at Connecticut, Earley created an experiential learning community outreach program focusing on social innovation that includes joint activities involving students, faculty and organizations such as Special Olympics International and the Entrepreneurship Bootcamp for Veterans with Disabilities. He also doubled international partnerships. 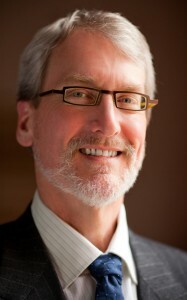 Earley is a fellow of the Association for Psychological Science and the Academy of Management. He is author or co-author of 10 books and more than 100 articles and book chapters exploring issues ranging from motivation and leadership to global teams. Earley fills the vacancy created when Richard Cosier stepped down as dean last summer. Cosier continues as Leeds Professor of Management and co-director of the Burton D. Morgan Center for Entrepreneurship. Jerry Lynch, professor of economics and academic director of Krannert’s master’s and executive education programs, is serving as interim dean.